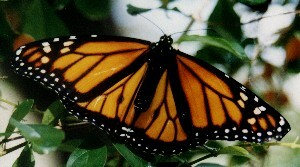 Monarchs are Danainae butterflies. Their host plants are milkweeds. 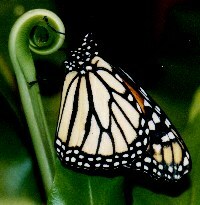 Monarch butterfly on a fern. Monarch butterfly on a golden dewdrop. 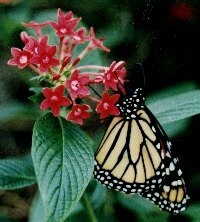 Monarch butterfly on a penta.